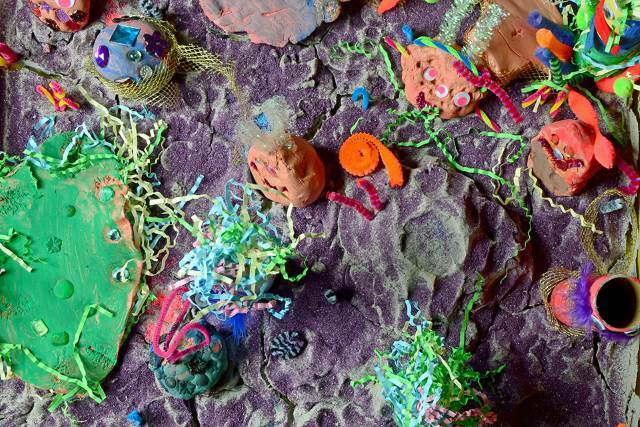 This fun art and craft activity gives children the chance to get creative by making their own aliens and a surface of the moon for them to live on. There are lots of opportunities for them to let their imagination run wild and build communication skills when working as a team. Line the tray with foil so that the landscape can easily be removed from the tray once it is finished with. 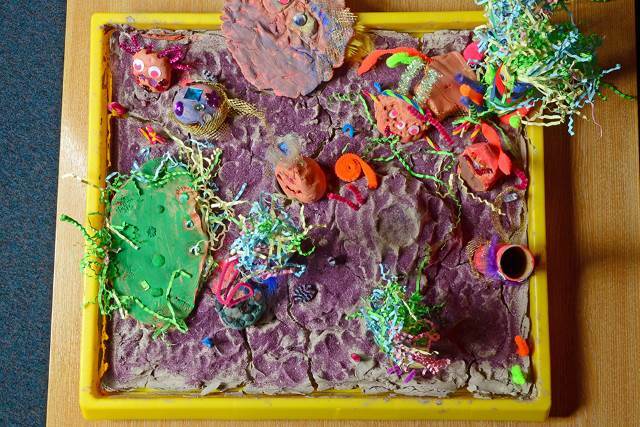 Roll out the air drying clay and press it into the tray to create their moon surface. 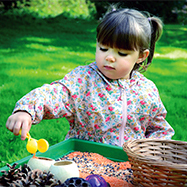 Children can they push round objects or their fists into the clay will help to create an even surface with craters. 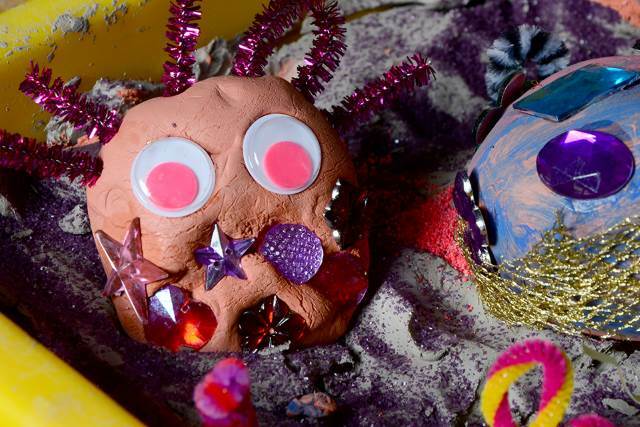 A layer of glitter can be sprinkled glitter over the moons surface. 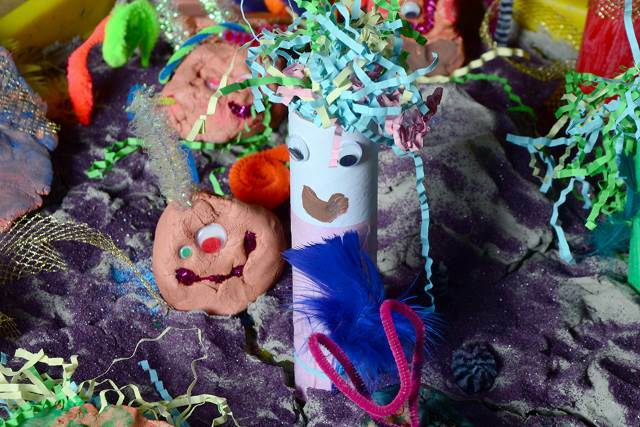 Children can then create their own aliens to live on the moon, using either coloured modelling dough, cardboard tubes or air drying clay which can be painted once it is dry. 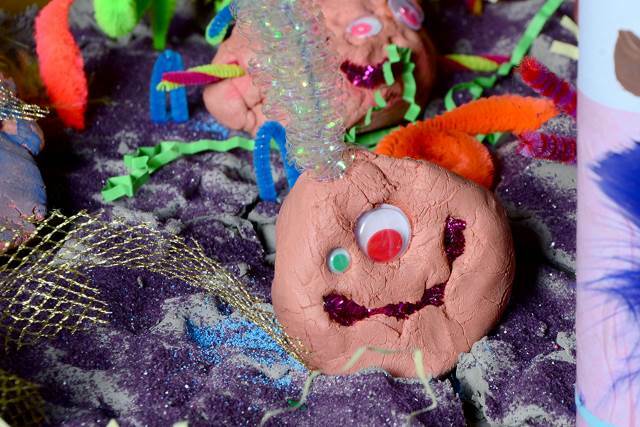 They can easily push a range of different craft materials into the dough to create their own unique alien. Have you been doing any fun space related activities lately? For more fun activities visit our Space page or follow us on Pinterest.